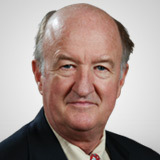 Health care’s rebound has been very kind to drugmakers in general, but as Mark Skousen of Turnaround Trader explains in this exclusive interview with MoneyShow.com, the small-cap pick he recommends has a unique advantage. Mark, health care stocks have been barking dogs for years. Suddenly people are paying attention. They’re doing very, very well—outperforming even some of the real early leaders in the market. Well, I think that it’s an indication of the silver lining in ObamaCare that was passed. Everybody’s realizing that this is a booming, growing market, and solutions need to be found in healthcare. Government has imposed this new burden of ObamaCare; it’s raising premiums. That means more money is going to the insurance companies, and maybe this means that we’ll actually find some real solutions, and I’m hopeful. And also prevention. There’s also going to be 40 million new customers coming in there in the health care system, right? Well, that’s right. That’s right. Now, one of the stocks that we’re recommending is Cubist Pharmaceutical (CBST)…they manufacture a product called Cubicin, and Cubicin is a drug that tries to minimize the exposure of MRSA, which is the super bug that’s hitting hospitals, and nursing care, and so forth. And it’s a real problem; it’s affected hundreds of thousands of patients, and so they get this bug and some of them have died and so forth. So, Cubicin is one that has done really well. Revenues are up, earnings are up dramatically, and so the stock is up 58% this year. This was our big stock that we picked this year in our promotional copy. And it’s been a big success, but look, even Pfizer (PFE) and Merck (MRK), and so on, are finally starting to move back up—certainly not by that much, but…but they are paying a very nice dividend. The question of course, is pipeline. Well, yeah, I was going to ask that. I mean, Lipitor is coming off patent this year. And some of the other big drugs. Somebody else mentioned another one, which; Humira is another one, I forgot which company that is, but they’re coming off patent, and they represent 20% of that company. But I go for the smaller companies like Cubist Pharmaceutical because they’re likely to be bought out by these big companies who need the pipeline, and they can get it from the smaller companies, so that’s the approach I take. I have been in touch with John Mackey, the CEO of Whole Foods Market (WFM), and he’s got this great healthcare savings account program with his employees. He was just telling me that premiums are up quite substantially because of the additional cost, and I think this is an indication that we do need to deal with this problem. I think one of the great things about our free enterprise system is that private enterprise is finally responding in a very positive way, it seems to me, to the health-care crisis. So, any other areas we should look besides Cubist? Any like, medical devices, or the insurers, or anything like that that you like? Well, I’d have to take a look. We only cover about four or five stocks, and I’m in some financial stocks as well, so this is the only one that we’re recommending right now, other than we are recommending Pfizer in our Dow stock position, and that one’s starting to move up as well. Now, do you own any of these stocks personally or professionally? No, none of those. I own some of the other stocks in my portfolio, but not these.